I believe we need social-emotional learning (SEL) now more than ever. Kids today are bombarded at very early ages with information and situations that often invoke an emotional response. Situations can originate from the media or from individuals, and social media can be a positive or negative. With increases in technology come increases in the speed at which information travels, as well as the access afforded individuals who have harmful intentions. Fortunately, SEL provides the tools through which children learn to appropriately manage and express emotions. Additionally, it can help keep children safe in potentially dangerous situations. SEL also improves learning in two ways. First, in younger age groups, SEL provides tools that allow children to focus more on instruction and less on social situations in the classroom, at home, or in other social environments. Second, children who have been exposed to SEL instruction and effectively trained educators can together achieve meaningful improvements in academic performance. According to the Center on the Social and Emotional Foundations for Early Learning (CSEFEL), which is focused on promoting the social-emotional development and school readiness of young children from birth to age 5, relationships—especially with nurturing adults—can have a positive effect on academic outcomes. When children feel supported within their family as well as in school they can be more communicative, and this can result in improved academic performance and executive functioning. The role of SEL is especially important in the family, because it provides tools to improve relationships and keeps children secure. Sadly, most people take SEL for granted and assume these skills are learned by children at home. In addition, the implementation and measurement of SEL is often seen as difficult. But given that SEL is now included in the standards-based instruction mandated by many states and districts, I believe schools are stepping up to take on the responsibility. The components of an effective SEL program align nicely with the 21st Century Skills Model, which identifies the most important skills children need to be successful in collegiate and contemporary workplaces. Chief among these skills is collaboration. SEL helps reinforce all of this. And the bottom line is that SEL improves academic outcomes, graduation rates, test scores, and overall quality of life for those touched by it. With research continuing to show the benefits of SEL, government officials should include SEL as a key component of their education agenda. Part of my vision is articulated in a children’s book I wrote—Penny and the Magic Puffballs—which celebrates the differences that make each of us unique while helping girls feel more comfortable, confident, and secure in their skin. n the end, I agree with SEL’s most ardent advocates, who believe that if our children—both boys and girls—can feel better about themselves and what they have to offer, their world (and ours) will be tremendously enriched. 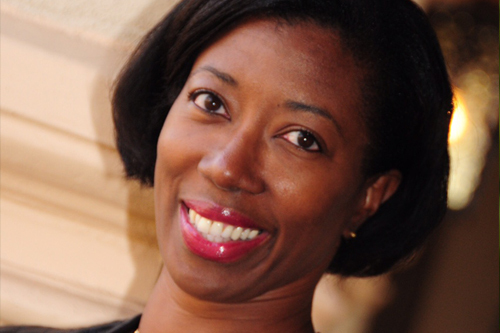 Alonda Williams is Senior Director for Education at Microsoft. Passionate about technology, social media, and marketing, she specializes in helping major brands connect more deeply with their customers by marketing the right product at the right time to the right audience through the right channel. In addition to Microsoft, she has worked with brands such as Verizon Wireless, Qualcomm, Bertelsmann/BMG, Liz Claiborne, and Essence. She is currently deeply immersed in helping K–12 and higher education institutions use technology to improve learning. Through her publishing company, children’s books, and public service, she has also created a personal platform around empowerment and building self-esteem in girls.